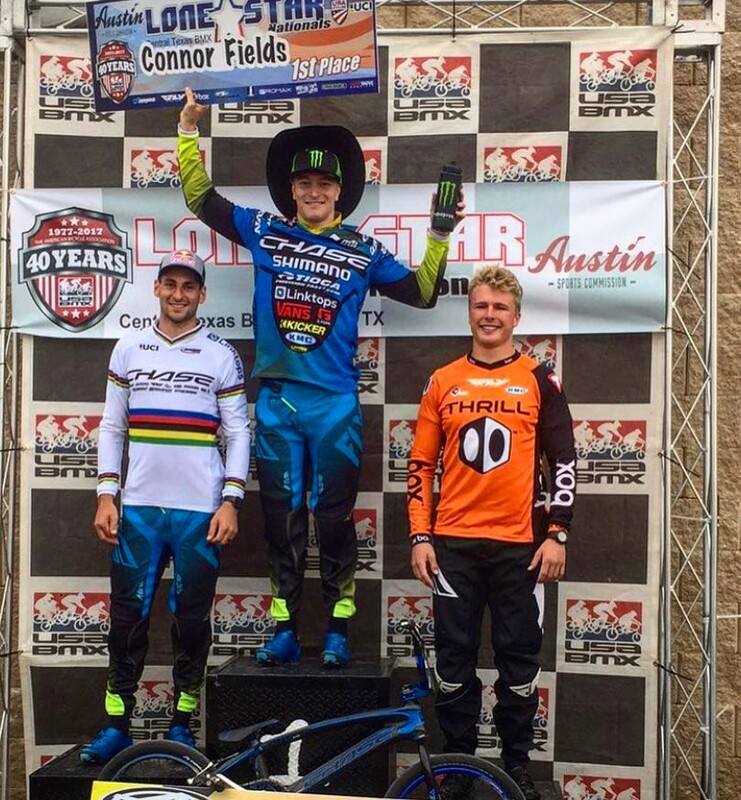 Connor Fields back on top with a win, while Joris Daudet continues his consistent season with two 2nd place finishes. 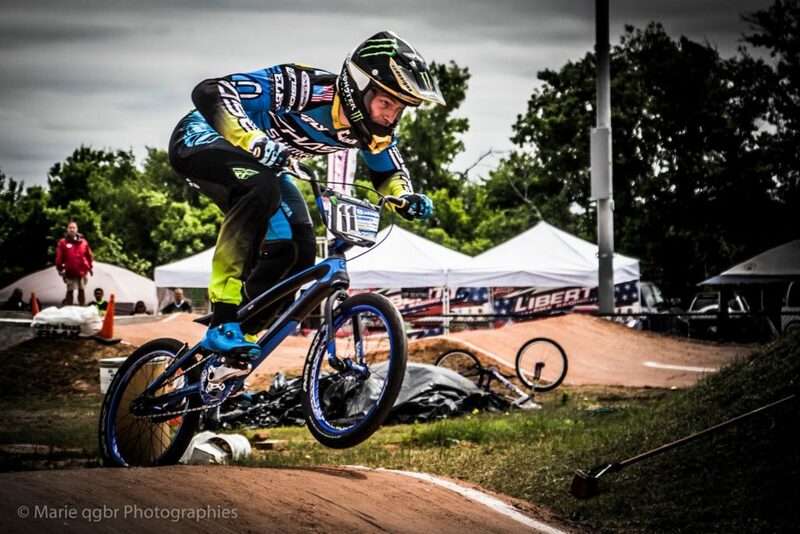 The USA BMX Pro Series continued this past weekend in Pflugerville, Texas for the Lone Star Nationals. 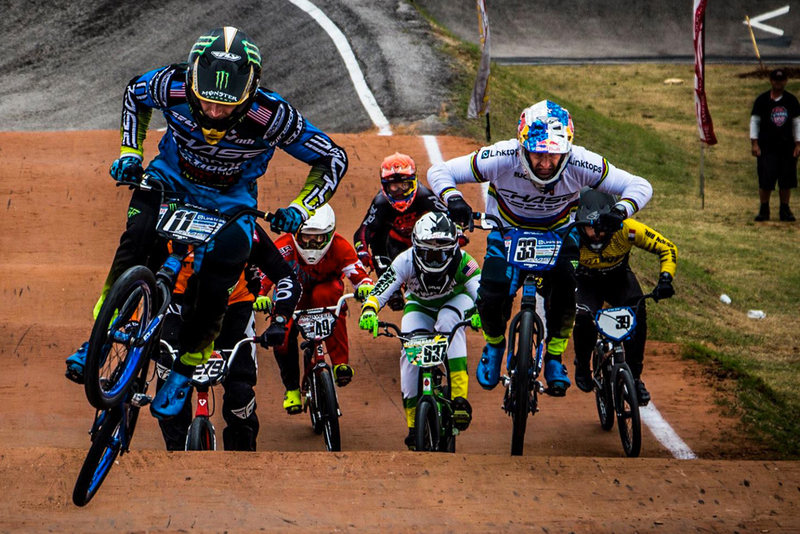 The traditional track is spiced up with a 5 meter starting hill, giving the perfect blend of old school and new for the Pro riders to take to the perfectly groomed Central Texas BMX track. 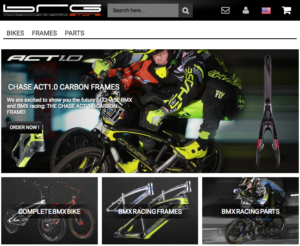 Both Connor and Joris would be racing the Lone Star Nationals aboard their new Chase ACT 1.0 Carbon frames for the first time, and they seemed to love the feel of the new Chase frames on track! On day for the for the Elite riders, 27 of the worlds fastest Men lined up on the gate, trying to qualify their way into the main event. 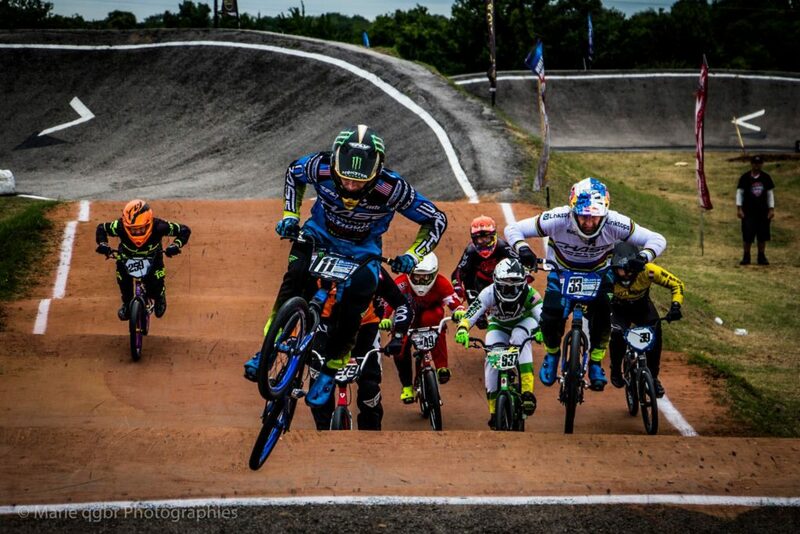 Both Joris Daudet and Connor Fields looked fast and made their want into the Main event. 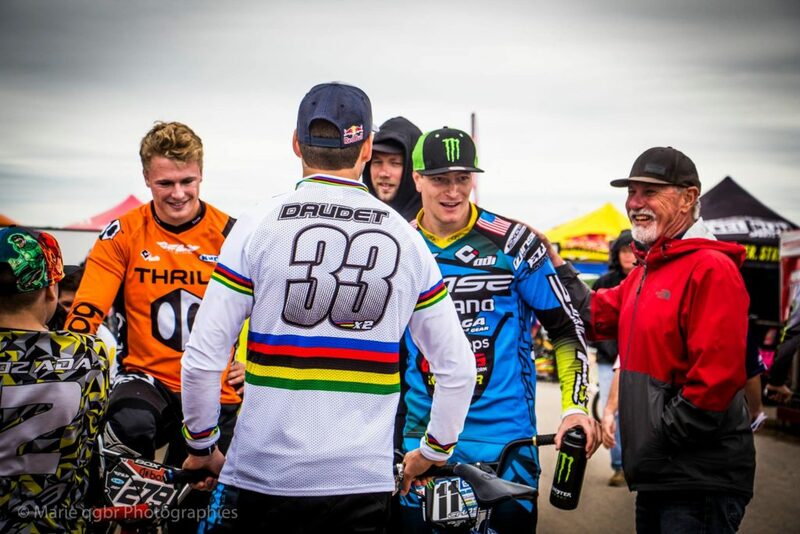 Joris has been the most consistent Elite rider this season, while Connor is coking back from his early season set back in Oldsmar, with his crash. When the gate dropped for the finale, they both took to the front of the pack, but neither were able to get ahead of Corben Sharrah before the first turn. Joris was just behind him, with Connor in tow, and they tried there best to run down Corben. 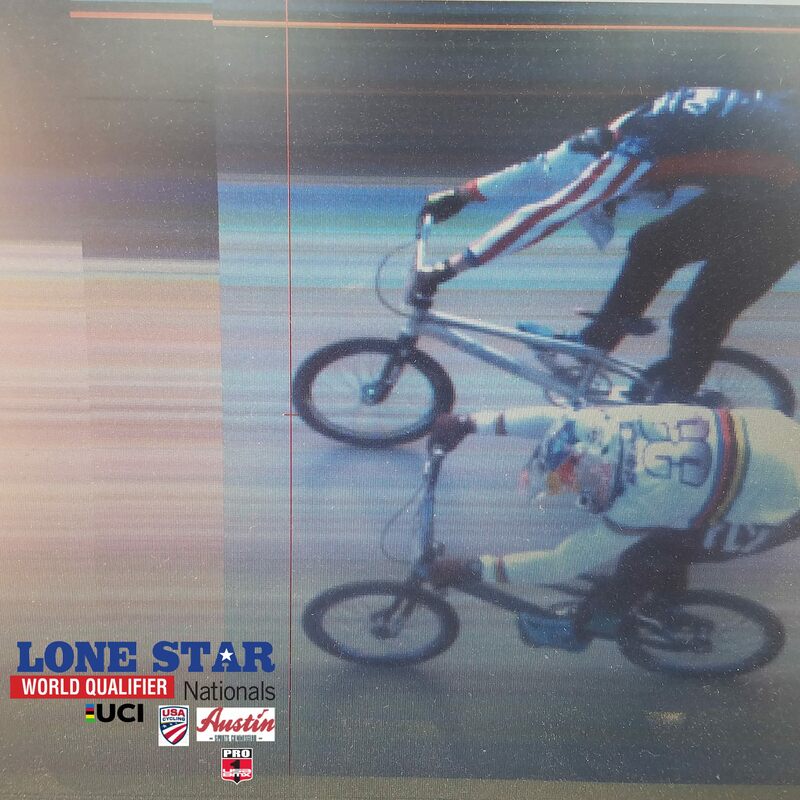 Joris made a last ditch effort at the finish and after the photo of the riders crossing the line was reviewed, Joris would just miss out on the win, with Corben taking the victory, and Connor just behind both in 3rd. On Day 2, the Chase duo would once again race their way into the Main event. This time, Connor and Joris were the 2 stand outs and battled head to head all the way into turn #1, with Connor edging out Joris. 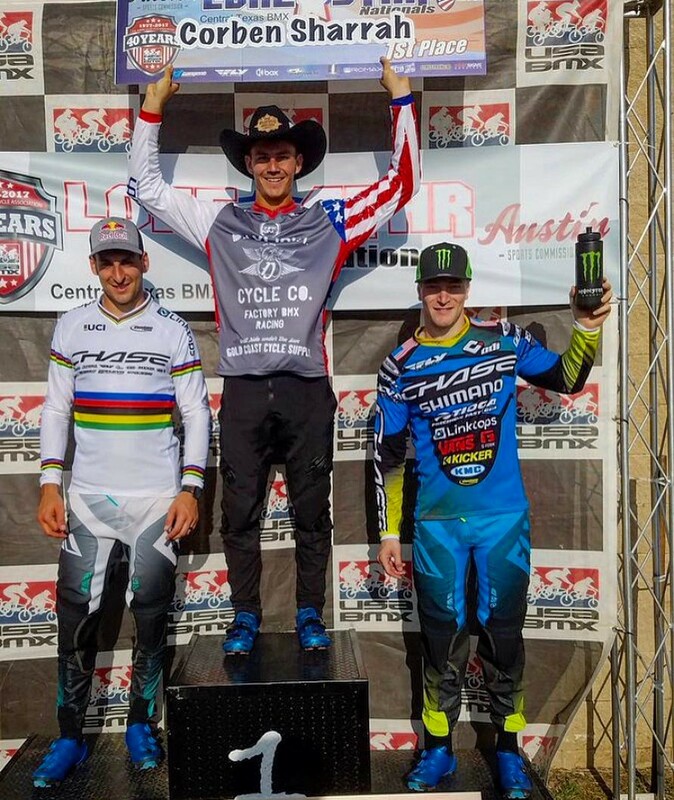 Connor would have clear air in front of him and was able to open up a small lead over Joris and ride to victory, with Mr Daudet finishing just behind, for 1 – 2 result for the Chase Pro team! 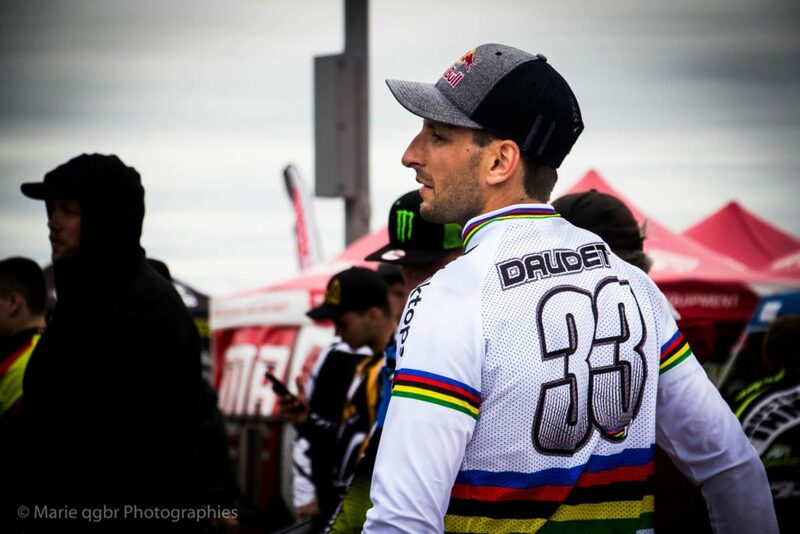 Both riders now will have a few day off before heading to Atlanta for the next round of the USA BMX Nationals and then both will head over to Europe for the opening rounds of the 2017 UCI BMX SX race season, with 4 SX events over 2 weekends of racing.